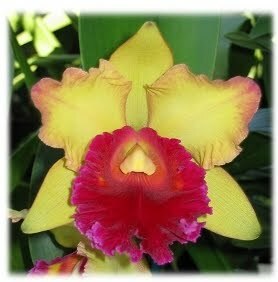 The besseae parent used in this hybrid has good size flowers with intense red color. Phrag. pearcei is a fairly vigorous and easy to grow species with green flowers that have thin, somewhat elongated petals. The result - a fairly easy-to-grow, vigorous growing Phrag. with nice orange red color of besseae but with larger and longer petals than besseae. Well-established, nice, first year bloomers. Most already have new growth(s).